I am a complete sucker for sweet, old products – there is something so comforting about mints in a tin box or a pad of old school writing paper. In French we have a word for it: intemporel. Papier d’Arménie falls into this category. I had seen it in pharmacies and shops plenty of times, but never figured out what it was. (I actually thought it might be something to chew to get rid of bad breath! Ha!). A few days ago my curiosity got the better of me and I investigated further. 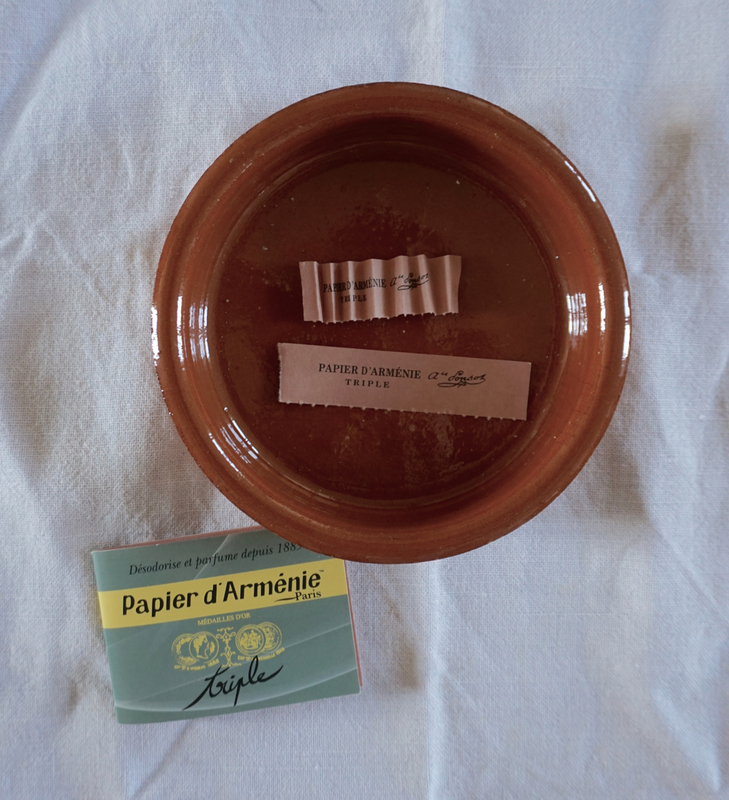 Papier d’Arménie is actually a delicate deodorant and air sanitiser that has been used for more than 120 years in France. It is still being made in the same factory on the outskirts of Paris, with exactly the same method that was invented all those years ago. The little booklet contains 12 sheets that are each divided into 3 strips. 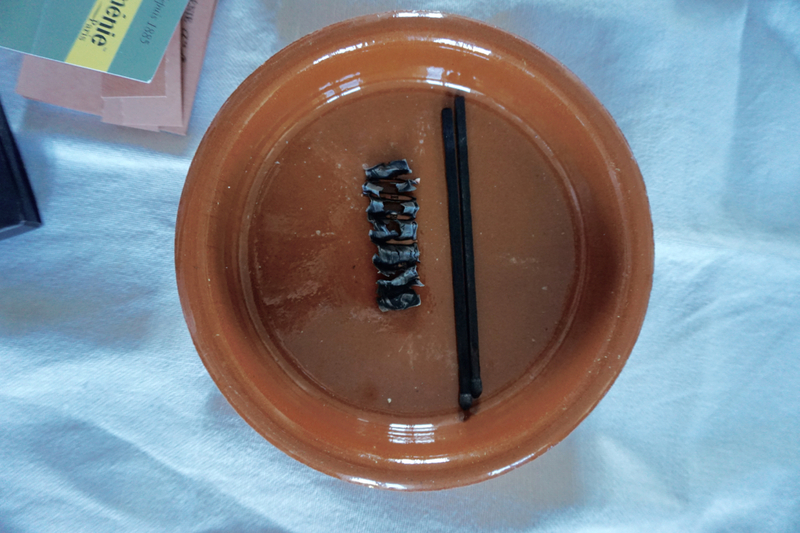 You can either burn the strip by folding it like an accordion or put a whole page into a drawer if you want to deodorise it. Apparently it is great for cleansing the air and the French particularly use it during the flu season. Whatever it is, I am a convert. I love the little ritual of folding and burning! Do you have a link to where these can be purchased? Hi Emilie, where can you get this? Amazon for the UK, and other uk outlets if you type in Google!